You’ll often find used acoustic pianos for sale in your neighborhood, but what about digital pianos? 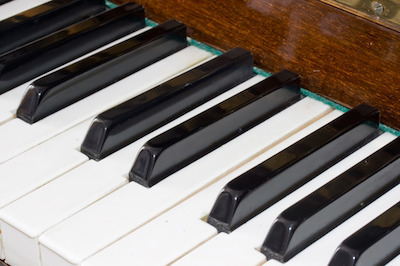 Should you consider investing in a used digital piano if your child is just starting out? While there’s always a concern that buying something used will cost you more money in the long run, the truth is a good used digital piano can help save you money. Of course, it depends on your goals and your needs. Take a walk around the piano – does it look good on the outside? This can easily alert you to a neglected instrument. Every scratch or ding that’s visible alerts you to a possible problem with the way it will play. However, it’s equally important to assess the inner workings and functionality. You should test every key and make sure it feels and sounds satisfactory. Digital pianos come with all kinds of accessories. Does the price include AC adaptors, sustain pedals, music rests, or furniture stands? Also ensure you receive cords, cables, manuals, and software or CDs to be able to connect up and digitize your music after you bring your instrument home. All electronics run the risk of malfunctioning. That’s why all electronics come with a warranty to ensure you receive a high quality instrument. You might not receive full access to warranties if you buy online or from a private seller. Be sure you understand all of the benefits you are receiving before you hand over your credit card. Feel like you’re getting a great deal? You can always do a quick search online. A reputable dealer will ensure you get a competitive price, and ensure that you’ll be comfortable with your purchase after you bring it home. Are you ready to invest in a digital piano for your home?